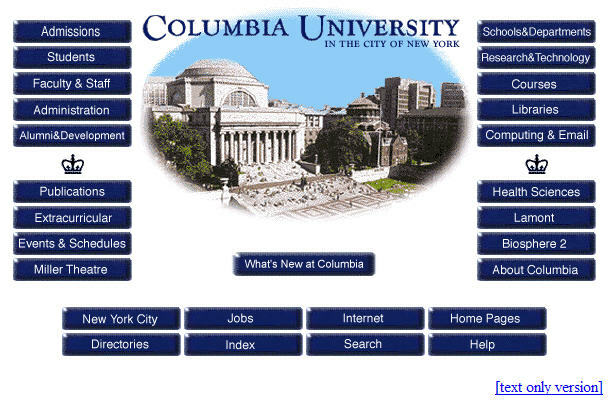 This is the earliest screen shot I can find of the Columbia home page. It's from December 1996. Does anybody have one from 1994? 1995? Frank da Cruz / fdc@columbia.edu / Columbia University Computing History / Jan 2001, Aug 2002.